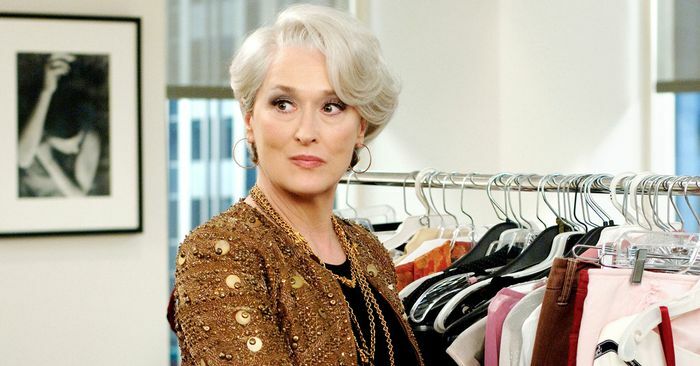 It’s been 12 years since The Devil Wears Prada was first released, but our obsession hasn’t waned one bit. Of course, the cast has accomplished many an impressive project since 2006—including Emily Blunt’s upcoming Mary Poppins redux—but can you blame us for forever associating them with their characters? Blunt, for instance, just did a 73 Questions video in honor of her new Vogue cover, walking through the magazine’s office like a true Emily. Right after the six-minute mark, Blunt strolls into Vogue‘s shoe closet, giving us an inside peek at the hallowed spot where Anna Wintour may or may not reenact certain Devil Wears Prada scenes on a daily basis. (Hello, cerulean sweater.) With rows upon rows of designer shoes, the real-life Vogue shoe closet is even better than the movie’s version. Scroll down to watch the video for an inside look. December 31, 2018 Comments Off on Gary Oldman to play Churchill again?